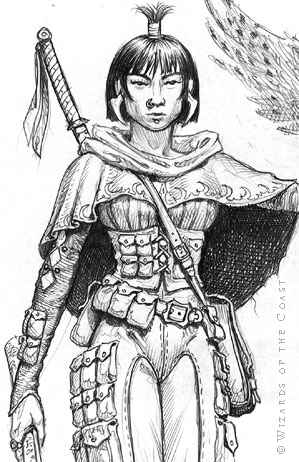 This sketch was another effort on my part to introduce racial variety into the game. It was an ideal which was roundly endorsed in concept, but for which we had to fight in application. That's starting to come around by degrees, but fantasy worlds tend to be filled with white people.